I would say these are more on the 'higher-end' side of things but definitely a nice treat to yourself. 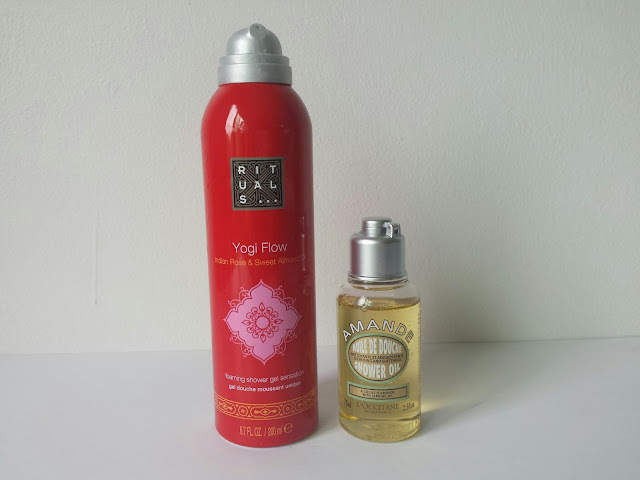 The Rituals Yogi Flow was a gift and the L'occitane Amande Shower Oil is from Sephora (just a travel size). It took me awhile to start using them, but once I did, I instantly fell in love! 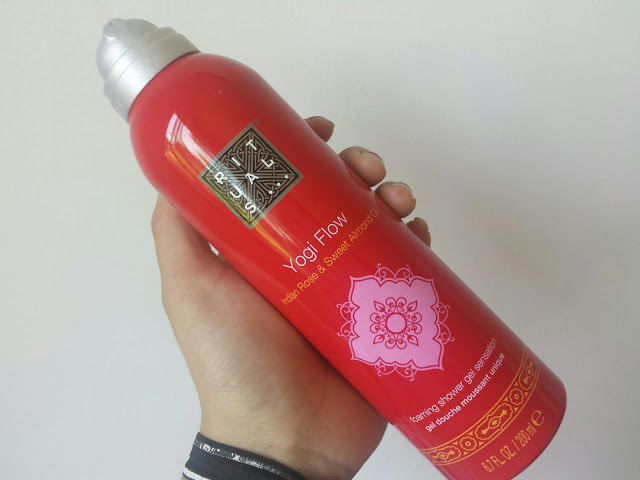 Rituals Yogi Flow is a foaming shower gel scented with Indian Rose and Sweet Almond. Being a sucker for rose scents, I knew I'd already love this product, but when I used it for the first time, the rose and almond scent blended really well without one overpowering the other. I love the gel to foam formula and love using it also as a shaving gel! It isn't super thick or creamy like most other shaving gels/creams but it worked just as well. 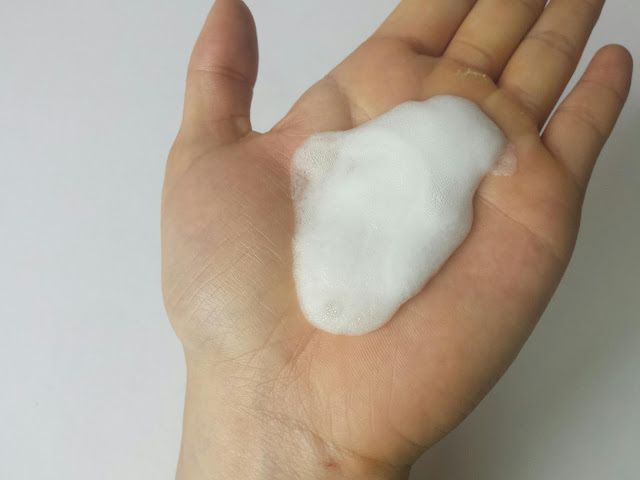 This product left my skin hydrated and not dried out at all. The scent doesn't linger too much on the skin but it does leave your bathroom smelling wonderful! I like the gel pump on this and it makes dispensing the product a lot simpler. I'll be sad when I use this up! I've never seen it in any stores before and since I got this as a gift I will most likely be checking online on their site or Amazon if I want to repurchase. It costs anywhere between $15 - $17. 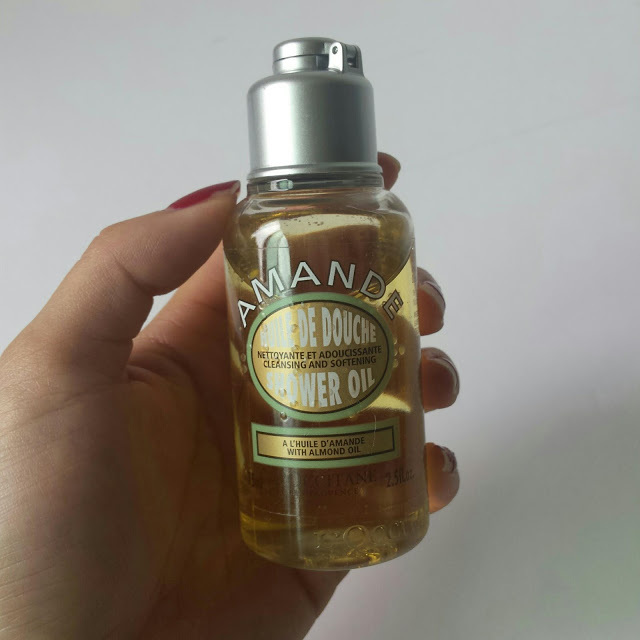 L'occitane Amande Cleansing and Softening Shower Oil w/ Almond Oil starts off as an oil but once mixed in with water, it turns into a milky, slightly foamy, body wash. This also has a sweet almond scent that isn't overly sweet. I love how it feels on my skin and the whole tuning into a milky consistency thing is pretty cool too! It definitely leaves my skin soft and smooth and I don't really need to put lotion on afterwards either. I also love this small travel-friendly size and think its a perfect item to take with you on vacation! This small travel size retails at $9.50 for 2.5 oz. There's a larger 8.4 oz size for at home use that retails for $25. 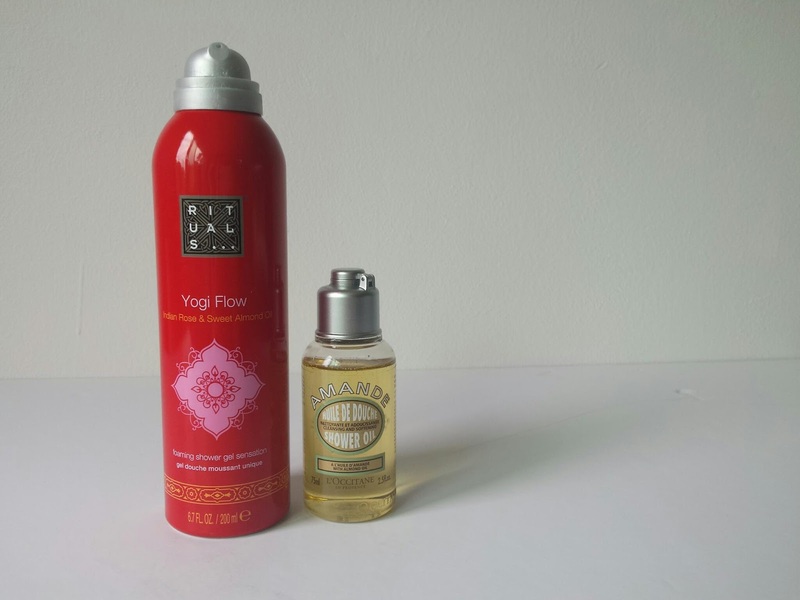 Readers, what are your favorite bath products? Any recommendations?